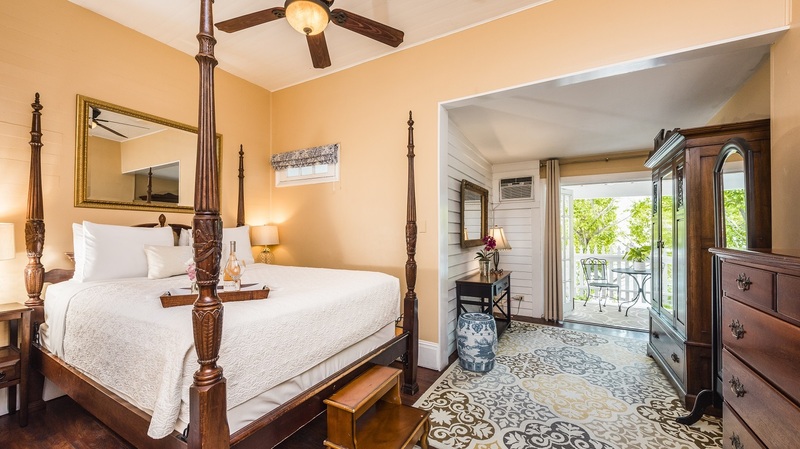 The Anniversary room is one of the most charming rooms at our Key West bed and breakfast. 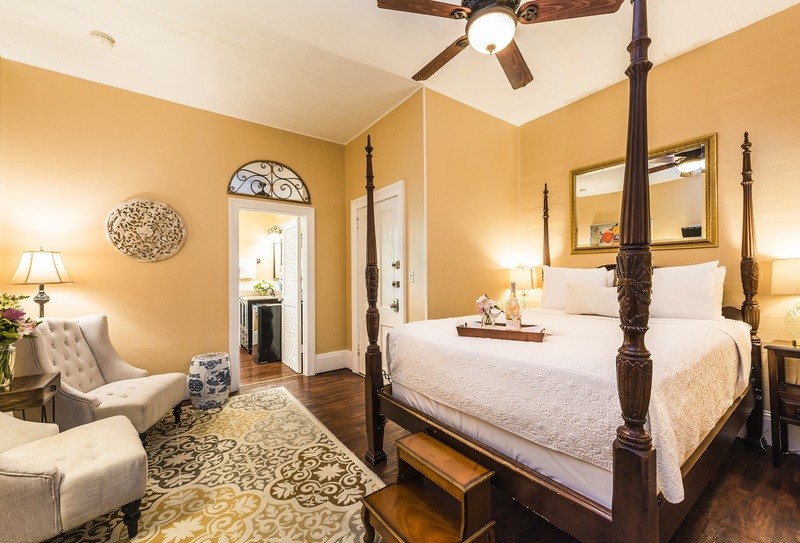 The four-poster Queen bed, private balcony, large full-length mirror, and spacious bathroom, make this a wedding couple’s top choice. 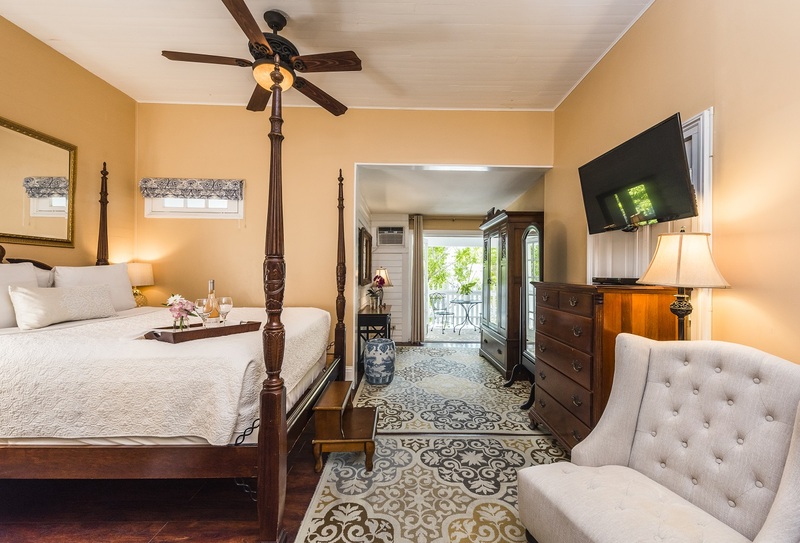 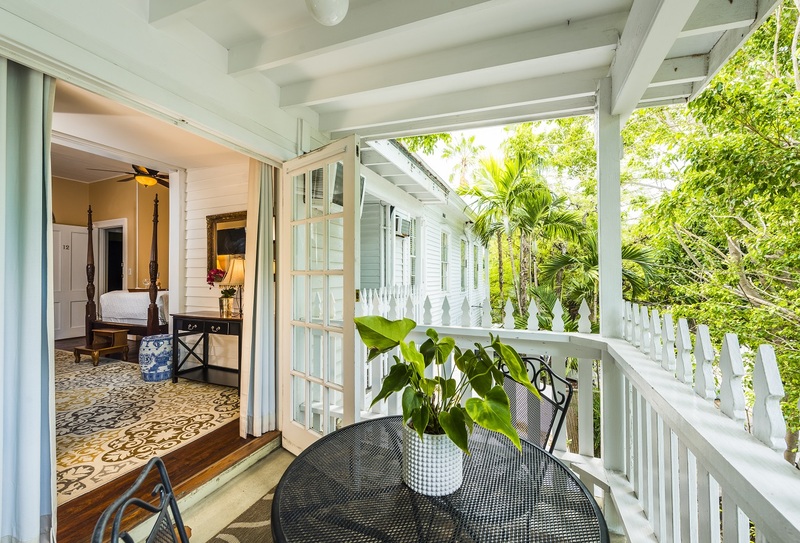 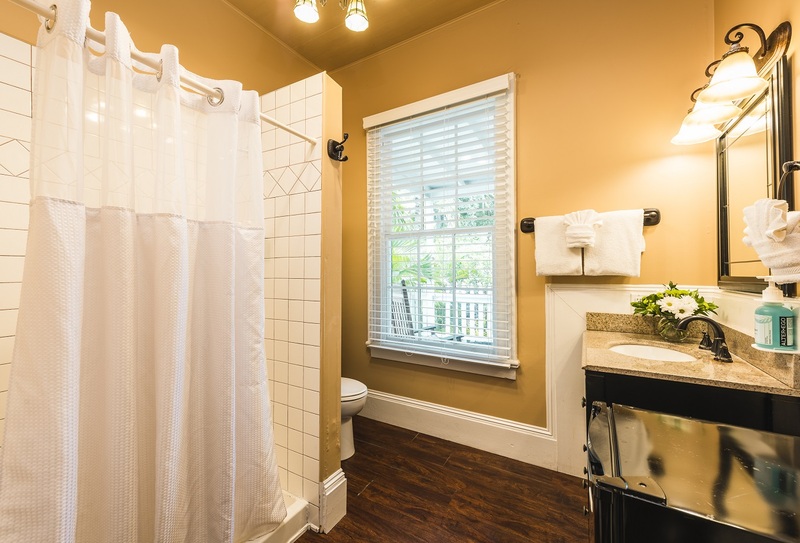 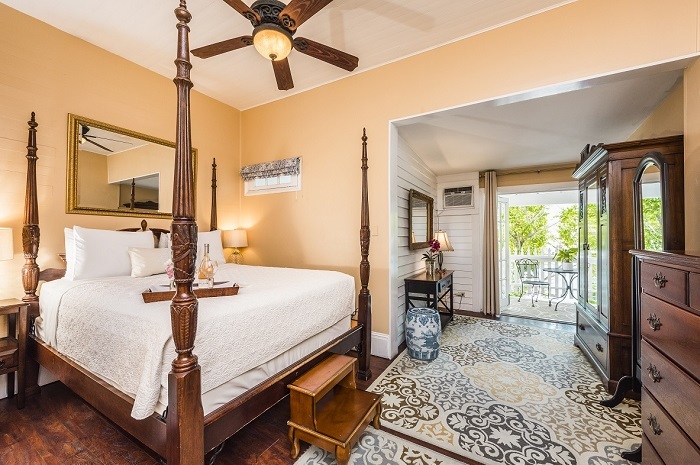 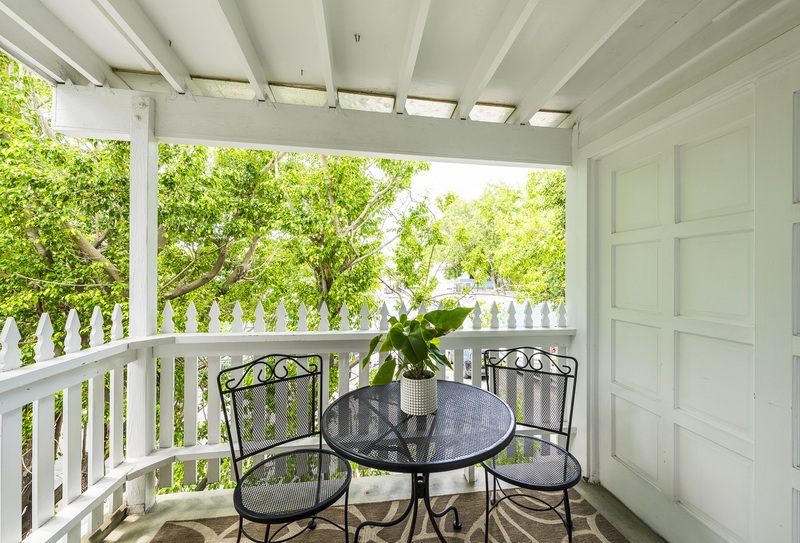 This popular and romantic Key West B&B room is located on the second floor and spans the width of the house.